A Christmas backdrop is something that is needed at any holiday party. You’re probably be going to your share holiday parties or you may even be hosting one. 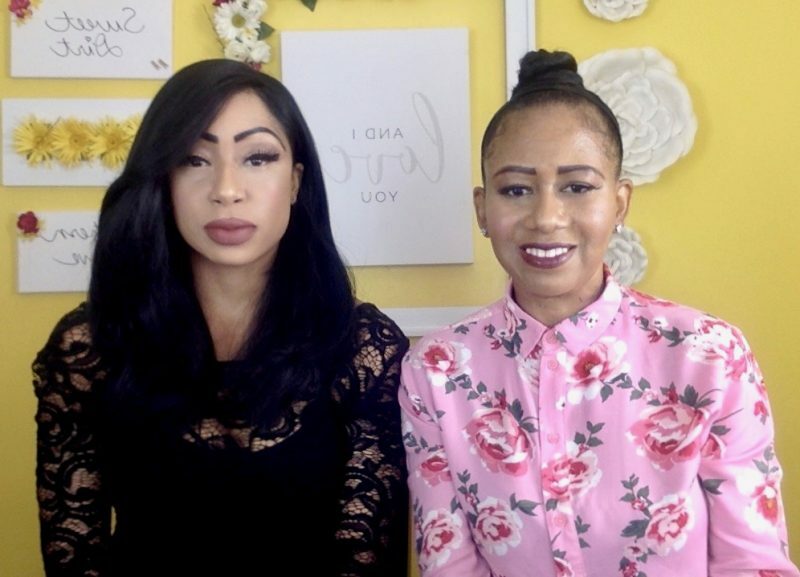 In this post, I’m going to show y’all how to make an inexpensive backdrop. As I mentioned in my blog post, A Southern Christmas I have discussed my third annual Christmas party. I am extremely excited because I love to entertain and the best thing about throwing parties and having get togethers are the memories that are being made. I am also a photographer, so I am believer in taking photos at any event that I have or any event that I attend. Since it’s a Christmas party I want to make sure that I have really beautiful, festive, and fun decorations. As soon as my guests begin to arrive I will take pictures. I have a wall in my den where I like to take photos of everyone. Whether it’s an individual photo or a group photo. I need a really amazing backdrop, so I went to Hobby Lobby trying to find the perfect it. However, I was unable to find one. 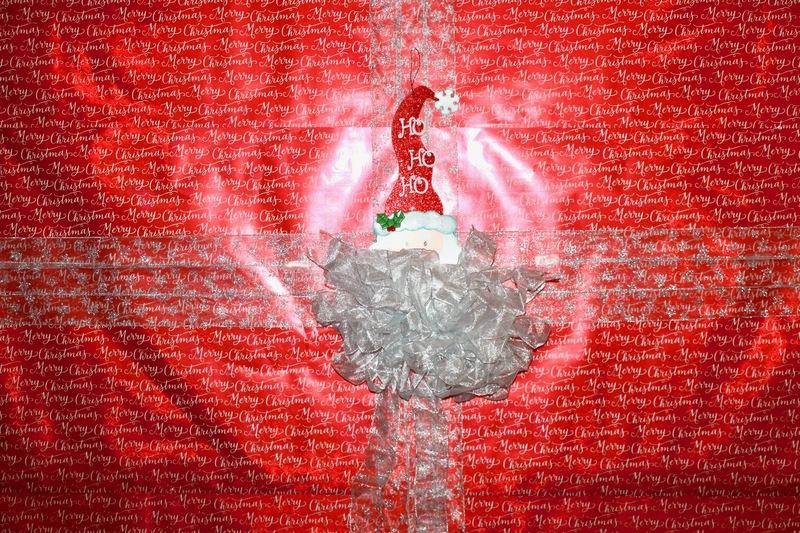 So I decided to make my own using Christmas wrapping paper. Keep reading for this step-by-step guide for creating a festive and inexpensive Christmas backdrop. I believe that it’s easier to stay organized, if you have all your needed materials laid out. -A large spool of ribbon. I chose a silver ribbon, with a bit of sparkle. -Scotch tape, double sided tape, and clear thumbnails. -I also incorporated this Santa decorative piece that I found at Hobby Lobby, because I think it adds a little more fun. After all this backdrop is for a party. -Another person, I recommend that you have someone help you. This is a two person job, it will make things a lot easier. 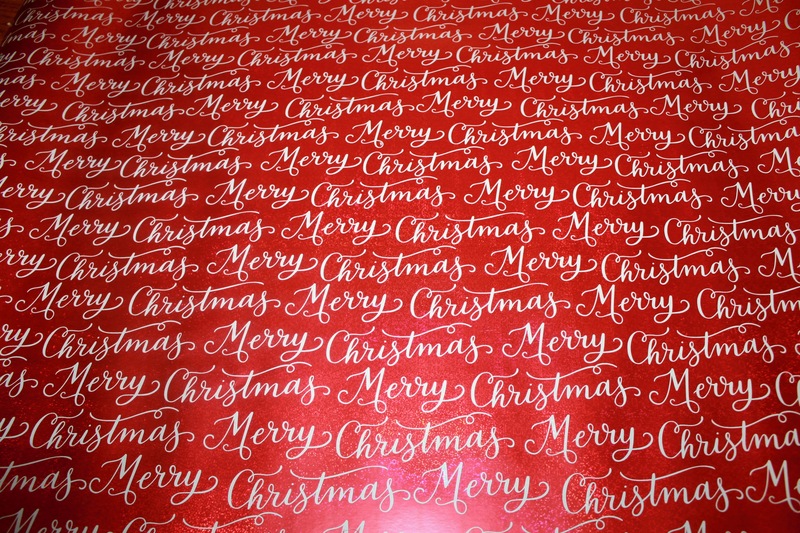 Where can I find Festive Wrapping Paper? 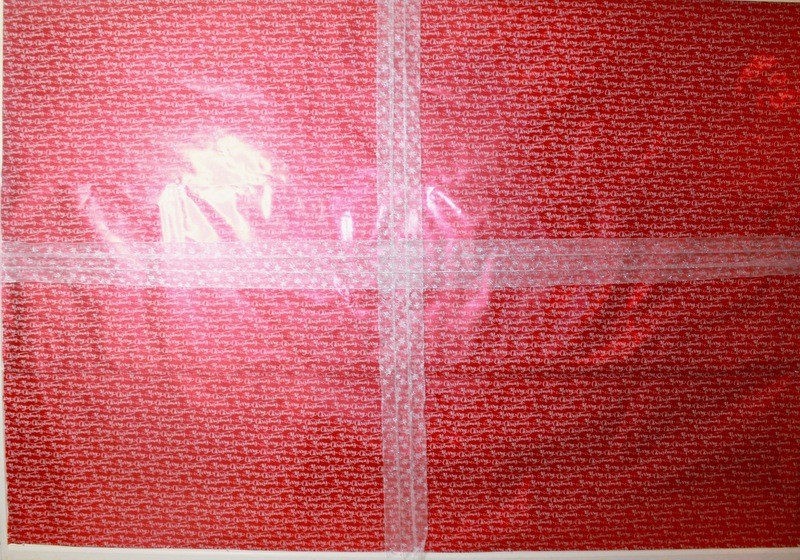 The most important item you will need is wrapping paper. I found and purchased mine from Hobby Lobby and I wanted something that was eye-catching and would look really phenomenal in pictures. When I saw this wrapping paper, I knew it was the one I wanted because it’s bold and bright. However, if you don’t have a Hobby Lobby near you, I would try Target or Walmart. 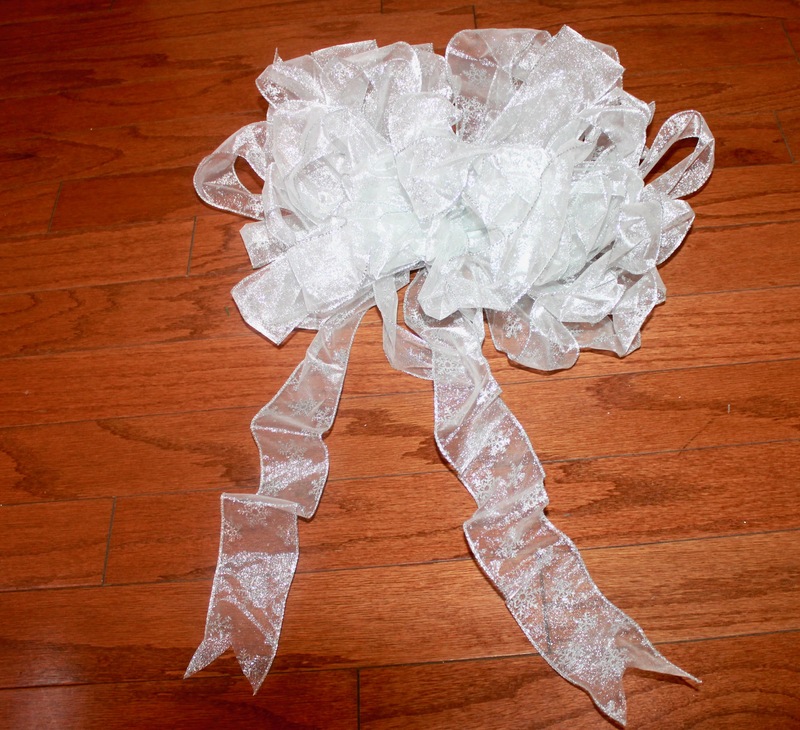 This is the large bow that I created with my silvery and glittery ribbon, I purchased this ribbon from Hobby Lobby. Now you simply, go from corner to corner and place your wrapping paper on the wall. 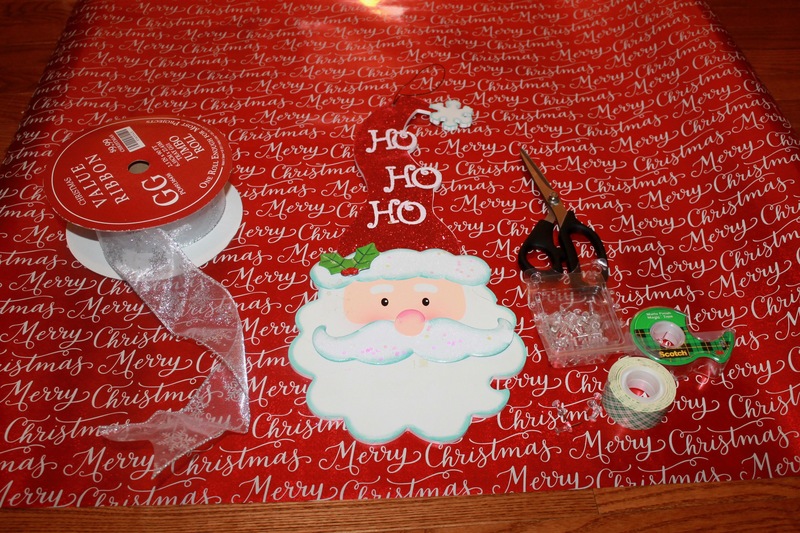 You will need double sided tape and thumbtacks to keep the wrapping paper on the wall. Next, you will place your ribbon up and across similarly to a present. After I have successfully wrapped my wall I placed my decorative Santa on the wall and placed my large bow in the middle. The bow actually looks like it’s Santa’s beard. 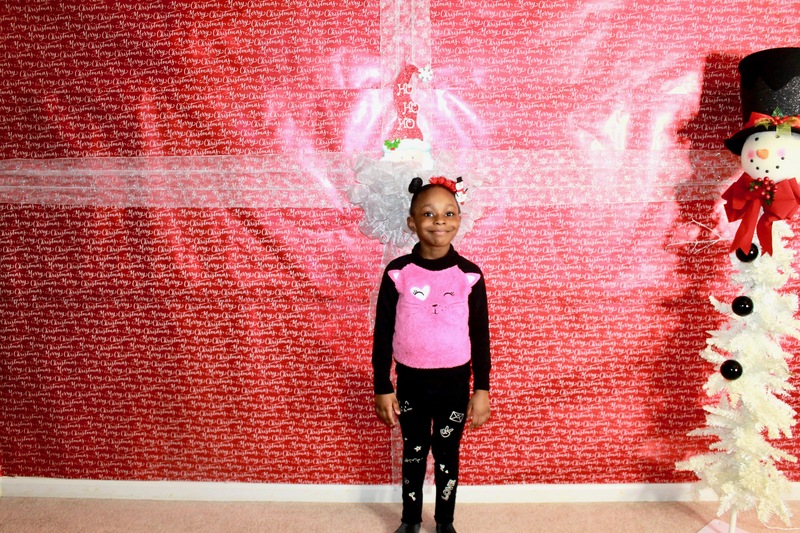 Here is Grace, in front of the finished wrapping paper backdrop. I think it turned out quite well, and I can’t wait for my guests to arrive, so I begin taking lots of wonderful photos. I hope y’all enjoyed this post! Feel free to leave in the comments section! 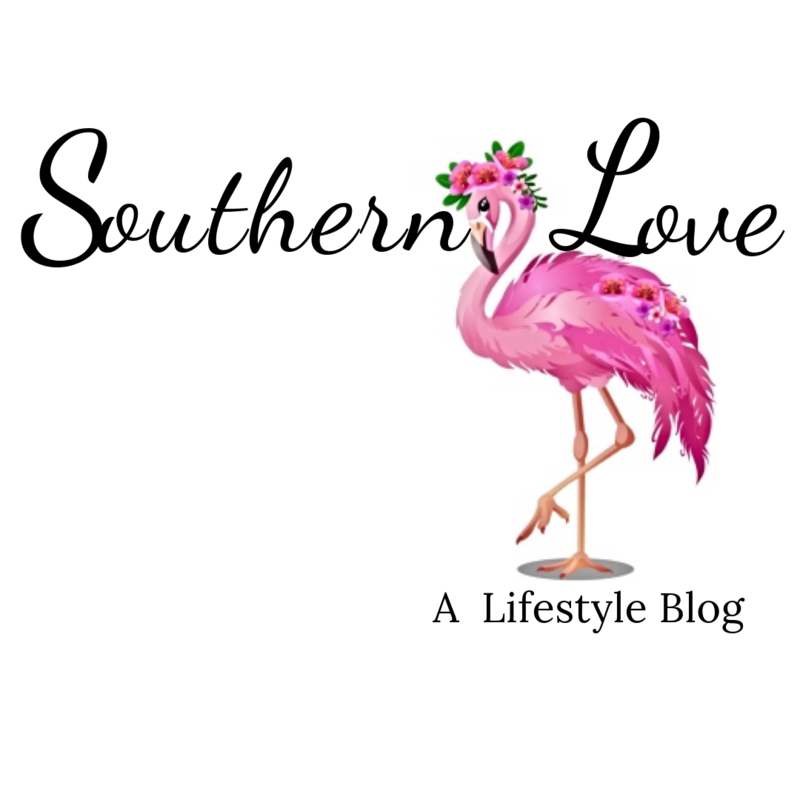 If you would like to see more Southern Love DIY Projects, be sure to click here.